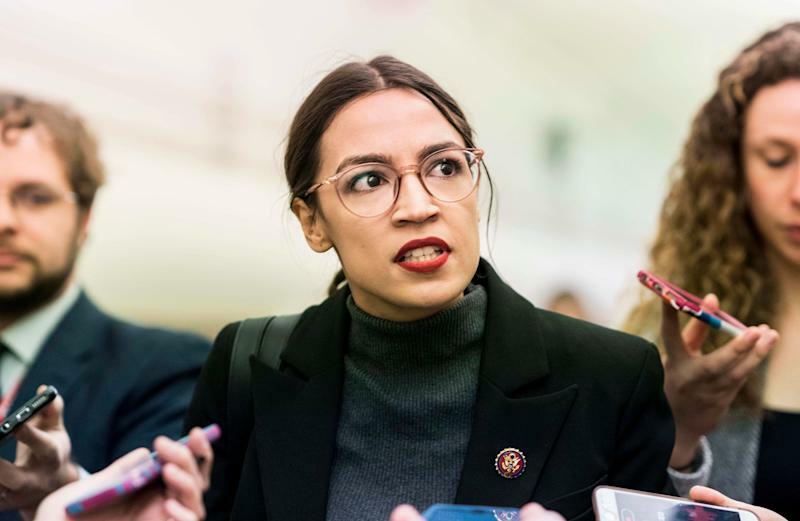 “This is not an elitist issue; this is a quality-of-life issue,” Ocasio-Cortez said during a House Financial Services Committee meeting. “You want to tell people that their concern and their desire for clean air and clean water is elitist? Tell that to the kids in the South Bronx, which are suffering from the highest rates of childhood asthma in the country. Moments earlier, Rep. Sean Duffy, R-Wis., blasted the ambitious environmental plan to move the country toward zero carbon emissions. Ocasio-Cortez, who in January suggested implementing an income tax rate of up to 70 percent on wealthy Americans to pay for the plan, said the environmental costs to Americans are coming. “People are dying. They are dying,” she said. “This is about American lives, and it should not be partisan. Science should not be partisan." "We talk about cost — we’re going to pay for this whether we pass a Green New Deal or not,” she continued. “Because as towns and cities go underwater, as wildfires ravage our communities, we are going to pay. And we're either going to decide if we’re going to pay to react, or if we're going to pay to be proactive." Duffy wasn't the only GOP lawmaker to mock the plan Tuesday. Sen. Mike Lee, R-Utah, attempted a strange pivot in a speech on the Senate floor. "The solution to climate change is not this unserious resolution," Lee said. "The solution to so many of our problems at all times and in all places is to fall in love, get married and have some kids." Ocasio-Cortez fired back on Twitter.